Hello and thank you for visiting the Highland Lakes Property Owners Association (HLPOA) website. We hope you will find the information useful and informative. The site is a work in process and it is our goal to keep it as current as possible. If you have any suggestions contact the Web Editor or one of the individuals found on the “Contact Us” page. Pictures say more about Highland Lakes than we can express in words. Send your favorite shots of Highland Lakes, events, people, animals, etc. Photographs and other unofficial Highland Lakes information can be posted on the Highland Lakes Facebook group. Logon to your Facebook account and search for ‘Highland Lakes Owners/Residents’ and ask to join the group. This is a closed group. 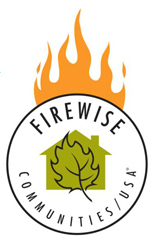 Highland Lakes is now officially a Firewise Community! 2018-19 Fishing Rules added under the Rules tab. Next Water District meeting is a regular meeting, Tuesday 21 May 2019, 7PM at the Community Building.